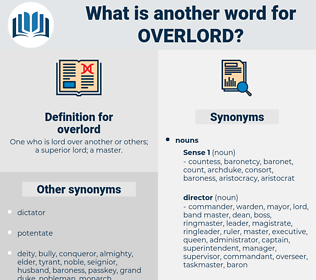 What is another word for overlord? 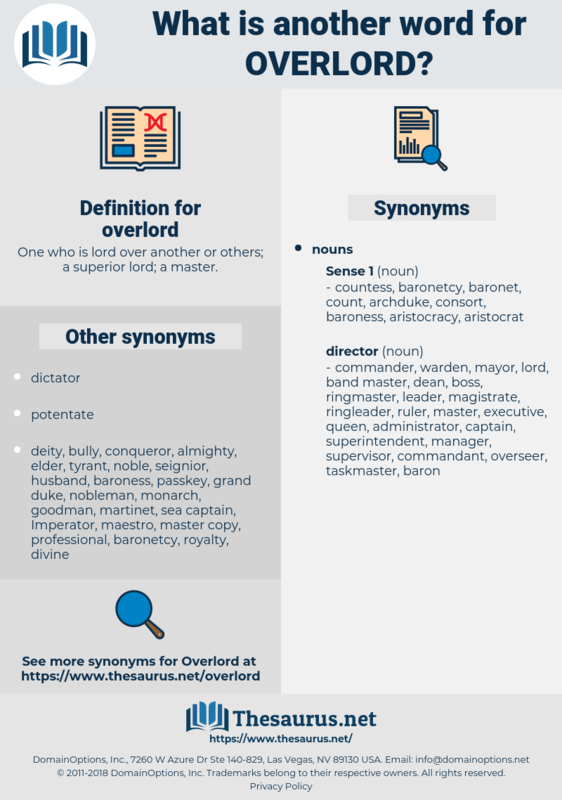 One who is lord over another or others; a superior lord; a master. He was one of many here in this realm; each had his little domain, with his retainers cultivating his land, paying fees to him so that the overlord lived in princely idleness. Edward chose John Balliol, the one who had the best right; but he made him understand that, as overlord, he meant to see that as good order was kept in Scotland as in England.